solar energy has become one of the most important energy sources and has been developed continuously. Solar street lamps are one of the most common applications. 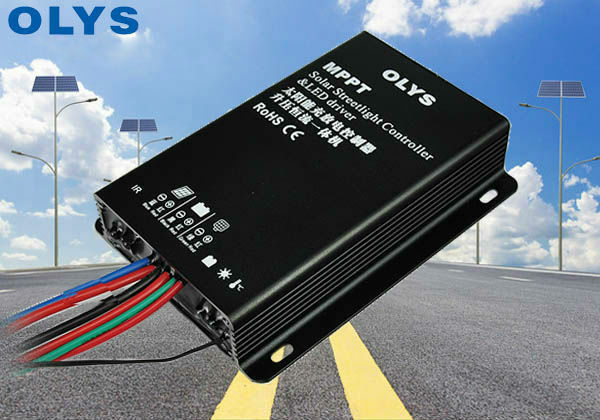 Solar streetlight controller is mainly responsible for battery charging and streetlight lighting control, automatic identification of day and night. According to the set working time and power intelligent control. The solar energy street lamp controller generally divides into the ordinary type and the belt LED drive two kinds of types. The controller has single time period control and multi time period control and many combinations. There are two charging methods for solar street lamp controller: PWM charging and MPPT charging. The PWM controller is cheap and the MPPT charge efficiency of the street lamp controller is high. Solar street light controllers are installed outdoors, the working environment is poor, generally using fully waterproof design IP68. Need to work around the clock, the use of raw materials is also strict requirements, please select qualified suppliers. Source: Shenzhen Olympus Technology Co., Ltd., focusing on solar controller and solar street lamp controller manufacturing and research for 12 years. Reprint from: http://www.olyssolar.com/.